Sell Your House Fast In Leander, TX. We buy houses in Leander and pay cash. 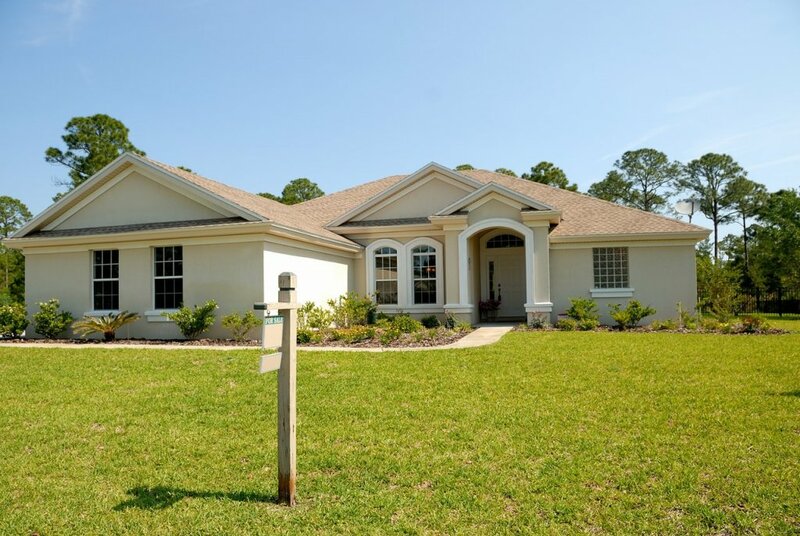 We buy houses in Leander fast, in cash and close quickly. Welcome! We’re DHB Holdings. We buy houses in Leander in cash so if you need to sell your house fast, we could just be the solution you’ve been looking for. From Benbrook Ranch to Cold Springs, we buy homes all over the Leander area and in all kinds of conditions. In summary, you can forget about that long list of repairs your home needs before it can be sold because when we give you a cash offer and purchase your home, we’ll take care of all the necessary renovations. Interested? Keep scrolling to find out a little more about us and what we can offer you. We purchase roughly 25-30 houses each and every year and more importantly, have never cancelled or taken back a contract. We value honesty and integrity which is why we don’t just capitalize on our numbers, but on how we handle you, our clients. In other words? We’re friendly! That’s why in order to close a deal, we always make an effort to meet you in person and evaluate your residence first hand. And of course, if you ever have any questions along the way, our personable staff are always ready to give an answer, so feel free to contact us anytime. Speaking of getting in touch with you, let’s talk about how to kick-start the process. Once you give us your contact information, we’ll give you call as soon as we can. Next, we’ll discuss your options and goals to set up a time around your schedule for us to come by and view your property. We can usually stop by in less than 24 hours! Lastly, we’ll evaluate what we can offer you and give you a cash offer typically within 7-30 days. Well, in short, if you are looking for someone to buy your home very quickly just as it is with no repairs or paperwork necessary on your end, we could be a fantastic fit for you. But, if you have a lot of time to get your home sold and don’t mind making your home appealing to buyers (doing repairs, continuing to pay for utilities, etc. ), then selling through a real estate agent may be a better option as you’ll most likely get a slightly higher offer for your home. Sometimes when there’s too many hands in the pot with multiple real estate agents and other investors, things can get complicated. Fast. That’s where we come in. Here at DHB Holdings, we strive to make our process as simple and easy for you as possible because we hate unnecessary complications just as much as you do. Just to prove how much we believe in this concept, we can assure you that when you sell your home to us, you’re really selling to us. Not some third-party or middleman, us. We handle your case from beginning to end to give you (and us) the least amount of hassle possible, so it’s a win-win. We’ll help you sell your house in Leander fast (as fast as 7 days!). Got a strict deadline to meet when it comes to selling your home? Don’t worry. We’ll work with you. In previous years, we’ve bought homes as fast as 7 days. Of course, this depends on your unique circumstance but if your situation demands speed, we can assure you that if we’re interested in your home, we’ll deliver. Once you start looking for an investor to buy your home, it doesn’t take long to realize that there are many companies who buy homes quickly in Leander. So what makes DHB Holdings jump off the page? Simply put, we’re experienced, qualified, and we have the record to back it all up. We’ve been buying and selling homes since 2011 and over time we’ve earned the reputation of Central Texas’ premier home buyer. In fact, every month we purchase approximately 2-3 homes every month-that adds up to 25-30 homes a year! Over the years we’ve also constructed numerous, strong connections with other investors in Leander, so we can say with confidence that we know the market, and its’ homeowners, inside and out. And as far as me, the owner’s, personal credentials go, you’re in good hands. Not only do I have a Realtor license and a Master’s degree in Civil Engineering from Purdue University, but I’m also a former HomeVestors franchise owner. But, formal credentials aren’t everything when it comes to choosing home investor that’s right for you. It’s also important to choose a company that values honesty and always keeps its word. If we give you a cash offer and you’re even slightly unhappy with the value you see, we understand. Your home is one of your biggest financial assets so it makes complete sense that you’d want to double check that you’re getting the fairest offer possible when you sell it. And we’ll help you do just that. If you feel our offer is too low, we’ll calculate the various costs you’d end up paying if you were to put it on the housing market via a real estate agent. Once we take all of those numbers into account (paying monthly housing fees, utilities, commissions to the realtor, housing insurance, and so on) we’ll do a side-by-side comparison of that cost versus our cash offer. Our offer usually falls in a range of a few percentage points under that of what you’d get if you sold your home on the market. That way, you have more clarity and comfortability when it comes to making your decision. How do I sell my house fast, for cash in Leander? Are they local? If not, and they’re invested all over the country, they may not be as knowledgeable about your area which could affect both the service they give you and the value of their offer. Do they have a big price tag? If the investor charges you any fees or commissions, this is a big red flag as it shows that they may not be as financially secure as they claim. Are they transparent about their reviews? If the reviews of the investor are poor or difficult for you to even find, this reveals that their reputation may not match what they say they’ll offer you. If you follow these simple guidelines, you’ll find that choosing a dependable home investor that fits your needs isn’t as overwhelming as it may seem at first. And if you browse the market and decide that DHB Holdings is a good option for you, great! Simply share with us your contact information and we can begin the process of buying your home today! Make sure you evaluate any cash home buyers in Leander that you’re thinking of working with. Besides Leander, we buy cash homes in these other areas in Texas.